Should you be worried about the Dow’s plunge? « How Good of An Investor Are You Really? Ask Your Doctor! The U.S. stock market has lost considerable ground and volatility has returned with a vengeance. The situation is precarious in both Japan and the Middle East. But the recent stock market plunge was virtually assured before the earthquake and tsunami hit Japan. We’re doing it again: Buying stocks after big gains in the markets. In 2008, 2009 and most of 2010, mutual fund investors in almost every month took more money out of stock mutual funds than they added. Then, in January, someone hit a switch. Investors decided that it was time to get back into the stock market. Keep in mind this decision came after an almost 100 percent gain from the market bottom in 2008. So in December we pulled $10.6 billion out of equity mutual funds, and in January we poured an estimated $30 billion into the market. 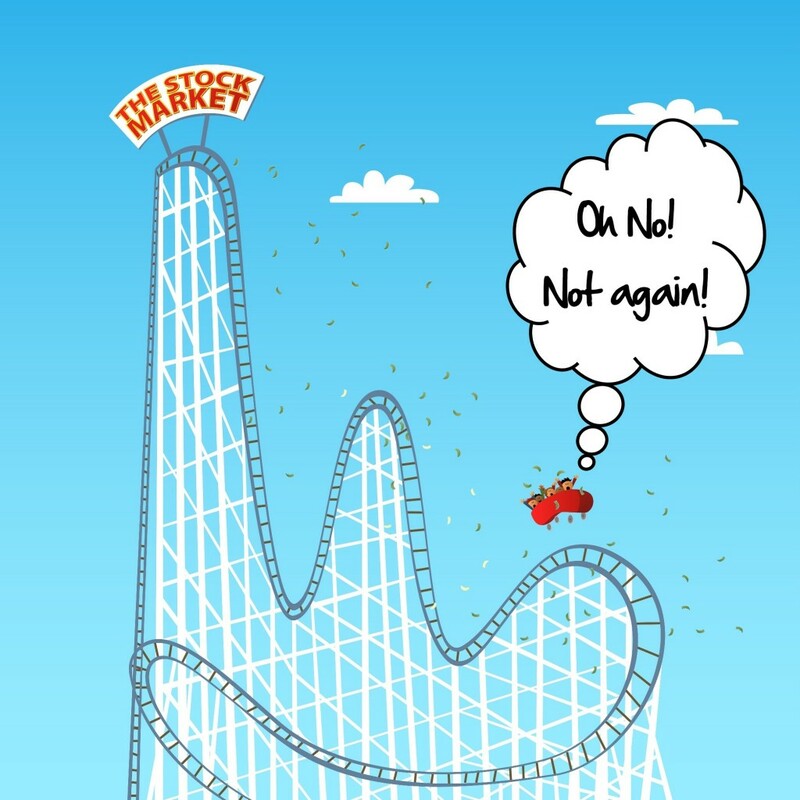 The problem, as this article from The New York Times blog titled, “Are We Buying High All Over Again?” points out, is that investors are repeating past bad behavior. Just as they have done throughout history, and just as they will continue to do for the rest of time. Even if you are a disciplined investor, you still suffer, because you’re investing in the same things the rest of the herd is. The reality is that if you don’t know what your retirement nest-egg account will be worth on the day you plan to retire, you don’t have a plan! You are gambling, pure and simple. The author of the article quoted above even has the courage to question whether you should be investing in stocks in the first place. Pay particular attention to reason #5 (“the bull market has just come so far, so fast”), and reason #8 (“The public was just starting to buy stocks again”). And if you believe the stock market is likely to continue on an upward march anytime soon, you absolutely must read this sobering article on why you’d need the Dow to be (at least) at 27,000 – TODAY! – in order to give you a minimally acceptable return for taking on the nerve-wracking risk of the stock market. 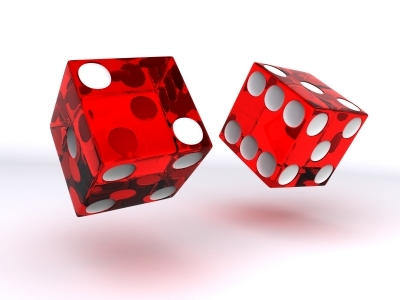 With all this crazy volatility going on, what CAN you count on? 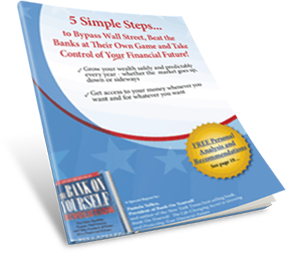 You can always Bank On Yourself – a proven strategy that has stood the test of time for over 150 years. Wondering how the Bank On Yourself method will hold up in various economic scenarios, such as high inflation, or a declining dollar? You’ll find the answer to those questions and more here. Want to know how much your financial picture could improve if you added Bank On Yourself to your financial plan? If you haven’t already requested a free Bank On Yourself Analysis, why not do it today, while it’s fresh on your mind? Your Analysis will show you how you could have a nest egg that grows at a guaranteed and predictable rate, and that never has a losing decade – or even a losing day. When you request your free Analysis, you’ll get a referral to one of only 200 financial advisors in the country who have met the rigorous requirements to be a Bank On Yourself Authorized Advisor. You won’t be asked to buy anything and they can answer any questions you may still have. It’s most likely not too late to rescue your financial plan. My wife is invested in your program. Under normal circumstance this appears to be a great deal but what about if , or mabe when, is a better word, the dollar fails ? And, as the New York Times reported, there’s an upside of a weak dollar: It benefits the American economy by aiding long-suffering manufacturers and rebuilding a stronger industrial base. Since you must “park” your money SOMEPLACE, you would be hard pressed to find a safer, more advantageous place to put your dollars – in good times or bad – than in a Bank On Yourself-type policy. These policies have survived and even thrived for over 150 years in virtually every economic situation imaginable! I have a very large gold bond face amount is 100,000.00. Could i use this for a bank on yourself account? I’m not a licensed financial advisor and can’t make recommendations. That’s the job of the Bank On Yourself Authorized Advisors. You can get a referral to one who can provide you with a free Bank On Yourself Analysis that would show you the bottom-line numbers and results you could have. I’m so thankful we’re building for retirement through Bank on Yourself! I no longer worry about what the DOW is doing. I finally have a sense of financial security. Diann – It IS a great feeling, isn’t it! How does your system compared to the new investment universal life policies? The more I learn about universal life policies, the less I like them. Why the heck would anyone want to take a guaranteed product like whole life and muck it up by adding in an investment component anyway? Most Americans are already gambling too much of their nest-egg in the Wall Street Casino. I’ve the same question as Ted. How does this compare contrast to the the universal life policies? Timing! Now I don’t worry about it, since I have a BOY policy. I had just sold some stock to fund future policy premium payments and Bang, down goes the market. I can’t believe my luck: for a change I’m on the right side. This also proves another old adage about the stock market: it will either go up OR go down. My BOY policy will only go up. Great comment! What a difference in our financial security the guarantees of whole life make!